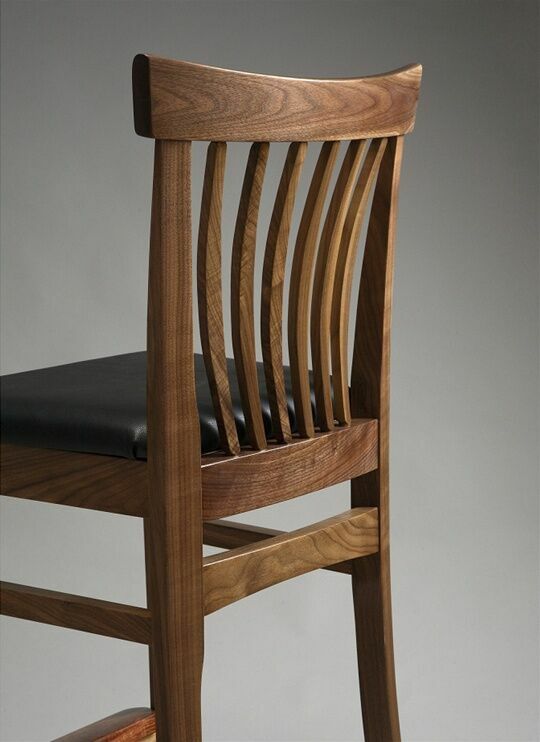 All the same great lower lumbar support and beautiful proportions of Greg’s low back dining chairs – just taller! 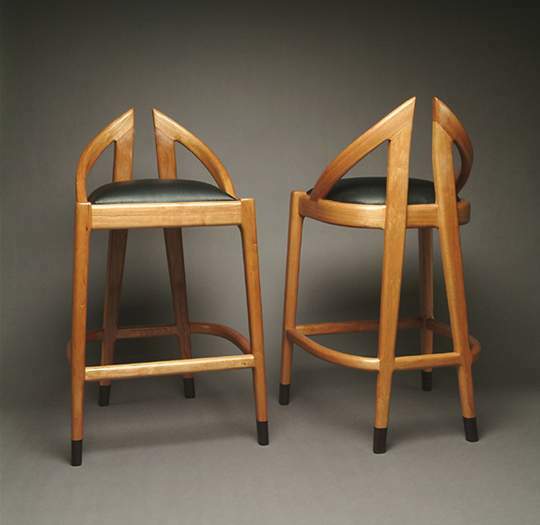 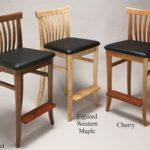 Available in both counter and bar height, stools come with a contrasting wood foot rest. 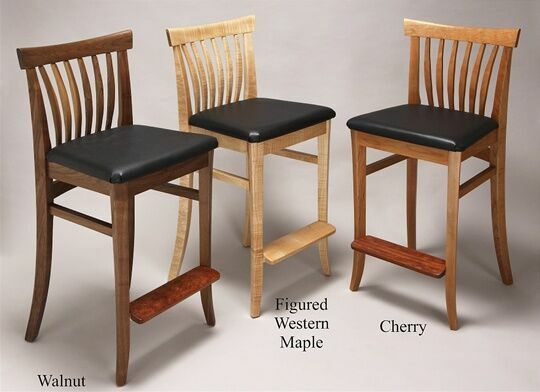 Price includes the fabric of your choice for the seat or, for an upcharge, Greg can provide leather or wood seats. 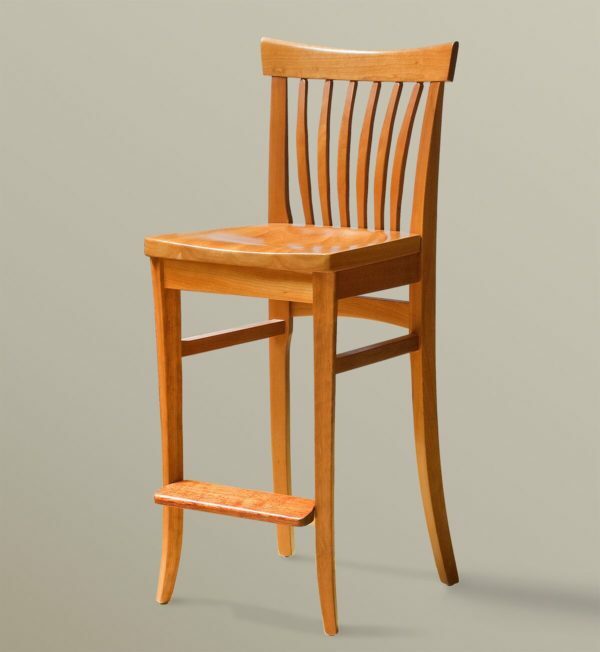 Dimensions: This chair comes in two standard sizes: counter height and bar height. 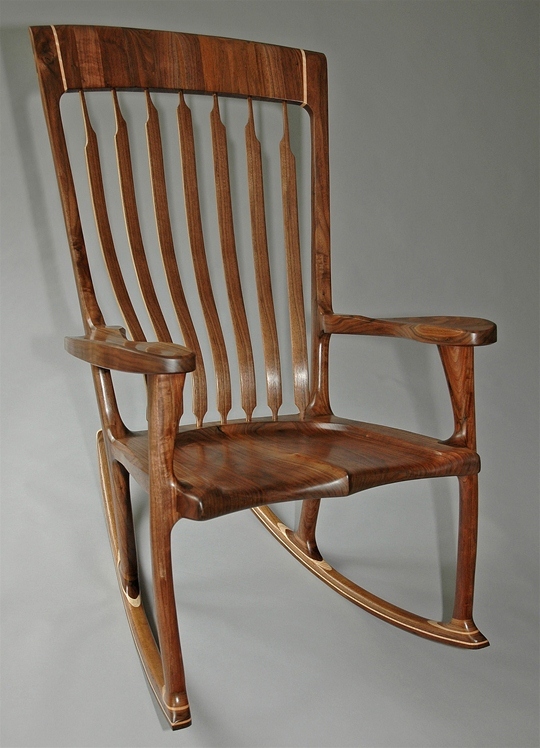 Price reflects a carved wood seat. 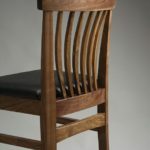 Greg also offers this chair with an upholstered seat of black or brown leather or using the client’s own material.